Energy. That's something that I need every morning, specially those days that the only thing I want to do is to stay in bed and don't do anything. For a long time, my solution to my lack of energy during the morning was a big cup of coffee, but recently, I decided to change this routine for something a little bit more healthy and with the same or even more 'energy'. During this last months, a lot of people told me that they've started drinking warm water with lemon when they wake up every morning, and that it has been helping them so much, but seriously, every time they told me that I was thinking that I would never be able to change my cup of coffee for some water with lemon. But things changed with the beginning of this year. One of my purposes for this year was to start drinking more green tea and eat more healthy food (I'll talk about this very soon on this blog). So I decided why don't try to mix the green tea with the water and lemon that everybody is talking about? 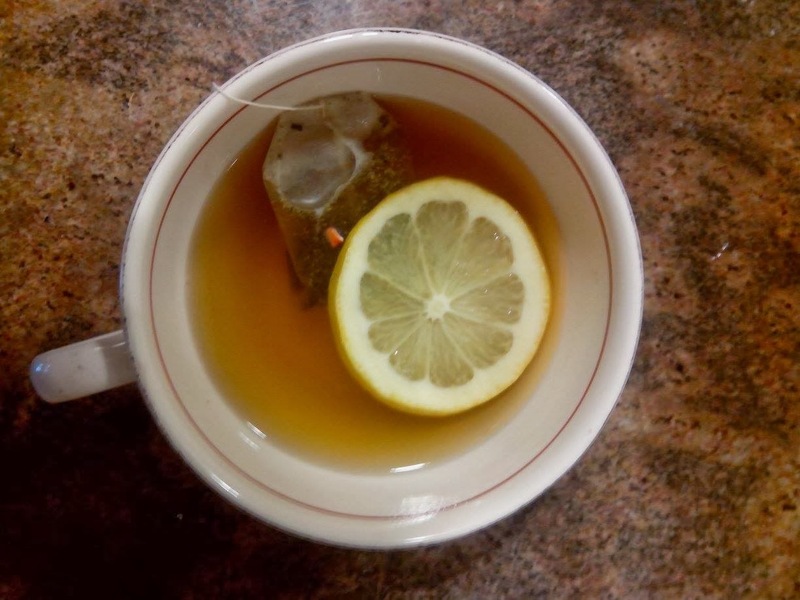 And well, now every morning, instead of having my cup of cafe, I'm having a big cup of green tea with a slice of lemon that I actually like and is helping me a lot to start my day with energy and being healthy. I encourage you to try it. You can also add a little bit of milk to the tea, that's something that I sometimes do and tastes pretty good! 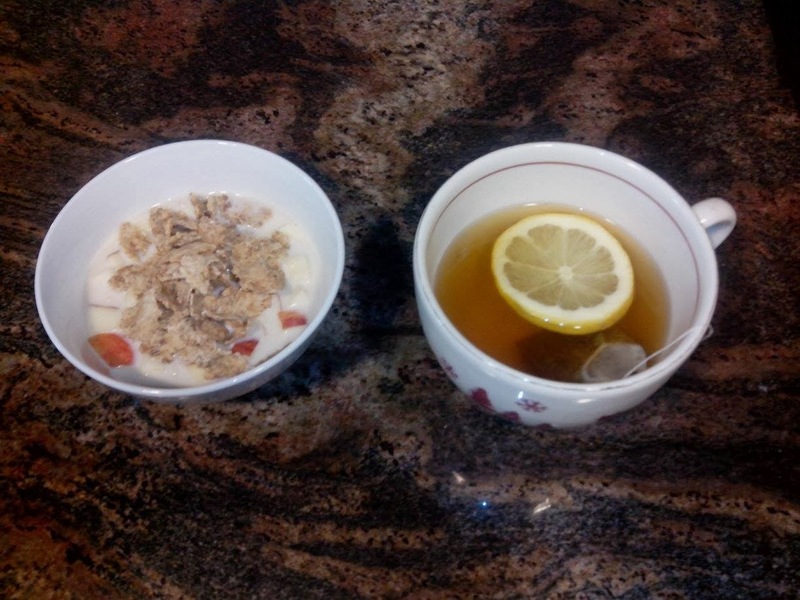 Today's breakfast: tea, cereals and apples! Your breakfast looks delicious, I can totally relate with the needing energy aspect!